The Tatuaje Skinny Frank is the fourth vitola based on the Tatuaje Frank blend, that in 2008 became the first installment of the Tatuaje Monsters Series. 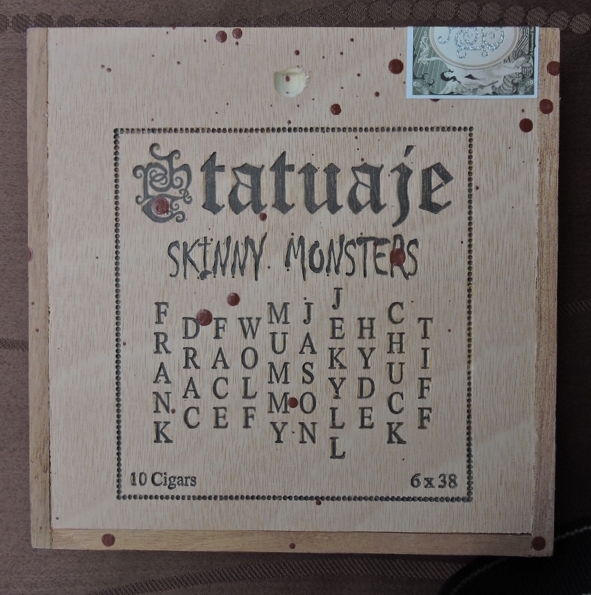 The Skinny Frank was originally released as one of ten cigars included in the Tatuaje Skinny Monsters collection. 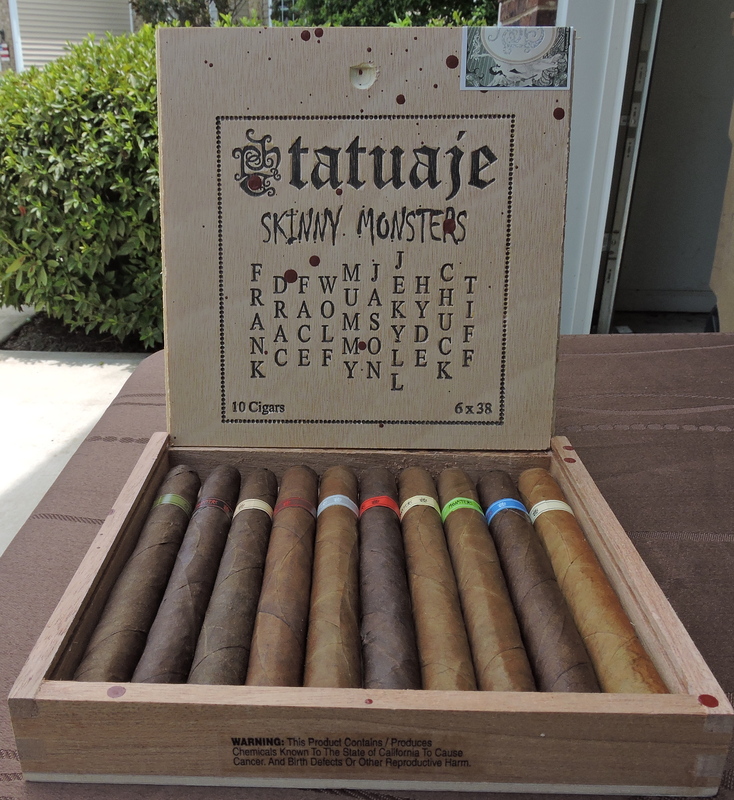 Skinny Monsters is a sampler of 6 x 38 petite lanceros based on the first ten Tatuaje Monster Series blends. 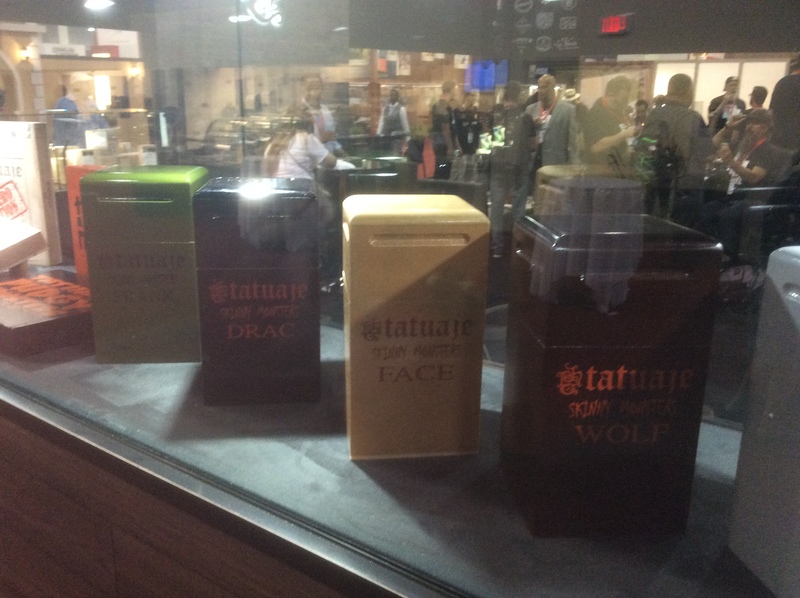 Since 2008, the Tatuaje Monsters Series has been an annual release right before Halloween. For each installment of the series, a different blend with a different large-size pays homage to a monster / horror movie character. There have been several offshoots consisting of different size variations, by which the Skinny Monsters collection is one of them. The original Being the first installment, Frank still holds a special place in this series. For all practical purposes, Frank is “the blend that started it all” as it has led to 52 facings across 11 different blends. Today we take a closer look at the Skinny Frank, which completes our look at the Skinny Monsters series. Overall, while this was a good cigar, it’s one that I found fell a little short short compared to some of the other sizes released in the Frank blend. Monster Series: Released annually (usually around Halloween) since 2008. These have been Double Corona or Churchill sizes. Little Monsters: Released in 2012, these are shorter, thinner versions of the first five Monster releases from 2008 to 2012. 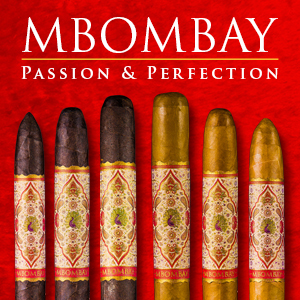 The sampler includes two cigars per blend. The Mini Mum was the little version of the Tatuaje Mummy and is the only case in any Monster Series collection where one of the offshoot sizes was released before the full monster sized vitola. Pudgy Monsters: Released in 2014, these cigars are the same length of the Little Monsters and same ring gauge of the original Monsters. This collection introduced two new monsters not previously released before, Chuck and Tiff. 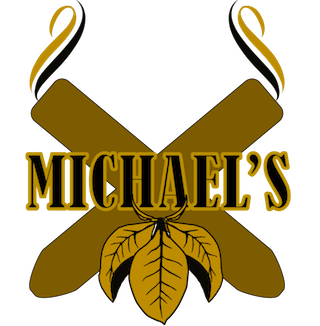 Each sampler contains two Chuck and two Tiff cigars as well as one Pudgy size for each of the Monster Blends released from 2008 to 2013. Skinny Monsters: Released this year, this includes one 6 x 38 petite lancero of each of the first eight full monster releases as well as 6 x 38 versions of the Chuck and Tiff. At this year’s IPCPR each of the Skinny Monsters were made available in 25 count boxes consisting of a single blend. 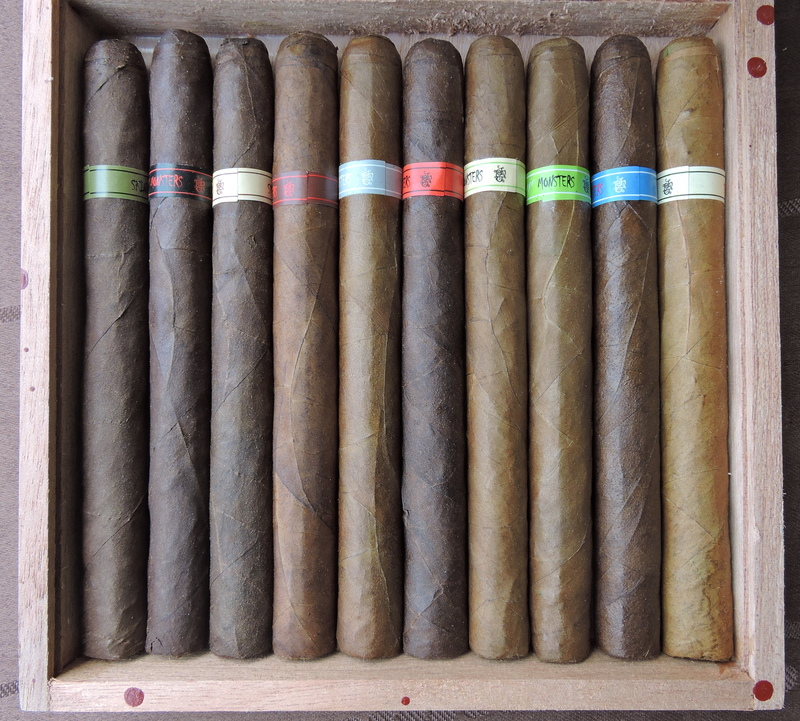 Skinny Monsters Cazadores Edition: This includes a 6 3/4 x 43 vitola of each of the first eight full monster releases as well as 6 3/4 x 43 versions of the Chuck and Tiff. 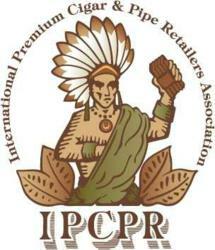 This format was introduced at the 2016 IPCPR Trade Show. Skinny Monsters Lancero Edition: This includes a 7 1/2 x 38 lancero of each of the first eight full monster releases as well as 7 1/2 x 38 versions of the Chuck and Tiff. 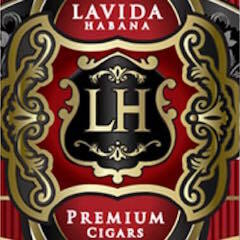 This format was introduced at the 2016 IPCPR Trade Show. The Tatuaje Frank is one of five blends that is included in each of the six Monster series collections. The other four are: Drac, Face, Wolf, and Mummy. The recently announced Tatuaje – The Krueger has only been made available in a full Monster size. The grid below maps each monster / horror film character blend to the cigar that was released in each of the Monster Series collections. A blank indicates the blend was not released in that collection. Without further ado, let’s break down the Tatuaje Skinny Frank and see what this cigar brings to the table. The Skinny Frank uses the same blend as the original Tatuaje – The Frank. As with just about all Tatuaje Cigars these are made by the Garcia family of My Father Cigars. 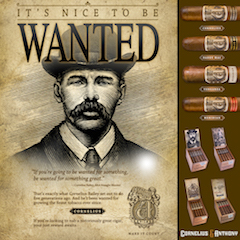 The Frank blend along with the JV13 blend are the two Monsters blend that use a Connecticut Broadleaf wrapper. 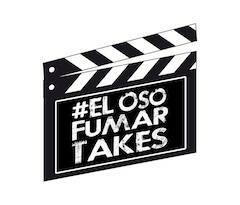 With the new Cazadores and Lancero line extensions, it brings the total number of vitolas using the Frank blend to six. There is one big change with the Skinny Frank compared to the previous other vitolas released in this blend. 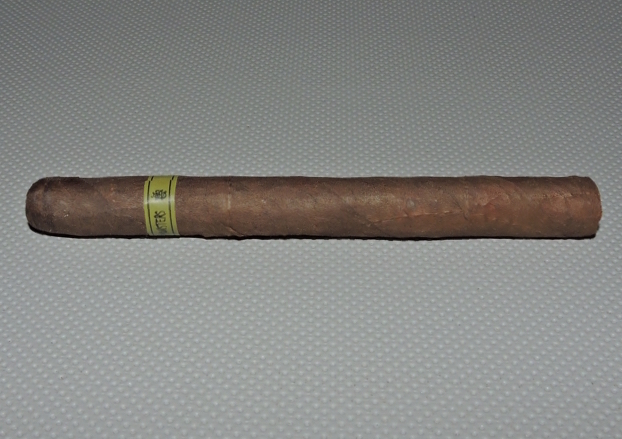 It was the first one that is not a box-press as this one is a rounded petite lancero. The Connecticut Broadleaf wrapper of the Skinny Frank has a espresso bean color to it. There is a light coating of oil on the surface. There are some visible wrapper seams and some thin visible veins. Overall, the wrapper has a rugged look to it – although not as rugged looking as the other Broadleaf Skinny Monster, the Skinny Jason. The band of the Tatuaje Skinny Frank features black font on an olive green background. To the left of the “Tatuaje” scripting is the text “SKINNY” in the a gothic style black font. To the right of the scripting” it says “MONSTERS” – also in black font. To the far right is a black Tatuaje “Tattoo” stamp. The band is finished with a black pinstripe across the top and bottom. As I typically do, I placed a straight cut into the Tatuaje Skinny Frank. Once the cap was removed, I moved on to the pre-light draw. The cold draw delivered mostly notes of mocha (a cross of chocolate and coffee). There also was a slight cedar component. Overall, I considered this to be a very good pre-light draw. At this point, I was ready to light up the Tatuaje Skinny Frank and move into the smoking phase. The Tatuaje Skinny Frank started out with notes of red pepper and cedar spice. Notes of coffee and earth soon surfaced in the background. While I was expecting the spices to subside, this would soon prove not to be the case. In addition to the red pepper on the tongue, I also picked up a mix of red and black pepper on the retro-hale. During the first third, the coffee and earth notes slowly began to increase. By the halfway point of the Skinny Frank, I found the combination of coffee and earth became on even par with the spices. 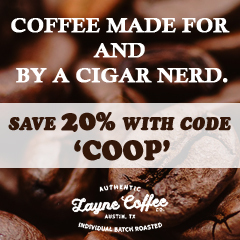 As the cigar experience of the Skinny Frank moved into the later part of the second half, the coffee and earth notes finally took the edge over the spices. There was also a slight espresso syrup note that intensified both the coffee-like flavor and body of the cigar. By the last third, I found the spices increased again and were once again on par with the coffee and earth notes. This is the way the Skinny Frank remained until the end. The resulting nub was firm to the touch and cool in temperature. Overall the burn to the Skinny Frank performed very well. 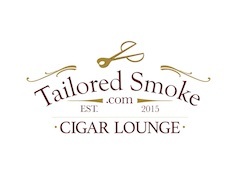 The cigar maintained a straight burn line and straight burn path from start to finish. This was a cigar that did not require frequent touch-ups. The resulting ash was on the firm side with a silver gray color. The burn temperature was ideal. I did find this cigar burned a bit fast. In fact, I’d say this was the fastest burning of the ten Skinny Monsters. 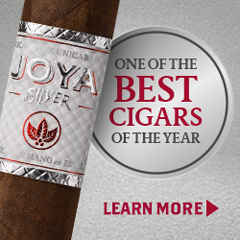 This only resulted in a shorter smoking time and did not result in any adverse effects toward the smoking experience. The resulting draw of the Skinny Frank was open, but not loose. While I’m sure the open-ness of the draw contributed to the faster smoking time, I didn’t find this draw to be out of my comfort zone when it came to balancing open-ness and resistance. I also found the Skinny Frank to produce an ample amount of smoke. In general, I found both the strength and body to be in the same wheelhouse as the Frank Jr. and Pudgy Frank. From a strength perspective, I found the Skinny Frank to be solidly in the medium to full range from start to finish. As for the body, the Skinny Frank also started out medium to full. 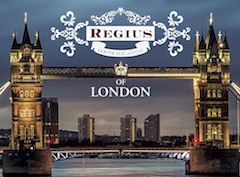 There was a gradual increase in the depth of the flavors and by the last third, the cigar progressed to full-bodied. 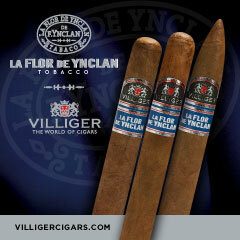 In terms of strength versus body, both attributes balanced each other very nicely for most of the cigar experience. By the last third, the body took a slight edge over the strength. 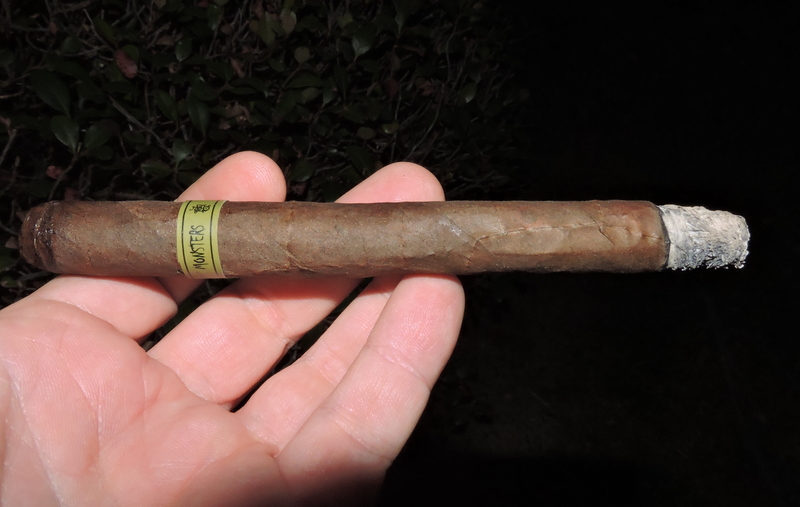 While I have never smoked the original Tatuaje – The Frank, I have smoked the Frank Jr. and Pudgy Frank incarnations – ranking the Frank Jr. as the best of the Little Monsters and Pudgy Frank as the best of the Pudgy Monsters. I had high expectations for the Skinny Frank, but this is a case where size and shape matters. To me, the rounded 38 ring gauge of this blend just didn’t live up to the box-press formats of Frank Jr. and Pudgy Frank. My big issue is I felt the spices during the first half came at the expense of the other flavors. 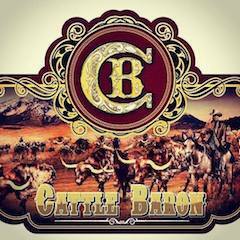 It’s still a good cigar and one I’d recommend, just not up to the levels of the other formats. It’s a cigar I’d probably steer toward a more experienced cigar enthusiast. As for myself, it’s one I’d recommend a five pack of.